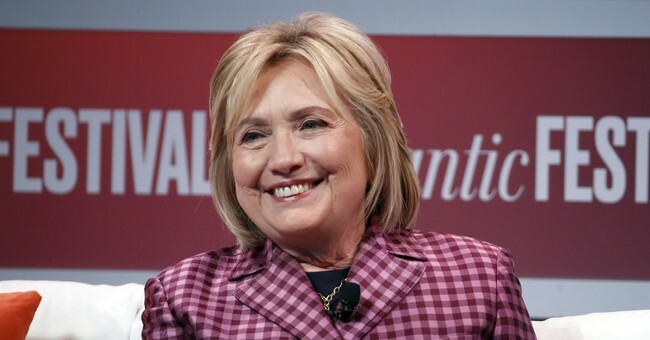 Twice failed Democratic presidential candidate Hillary Clinton is, ironically, giving advice to those in her party who are running against President Donald Trump. It's like Clinton, and her party, forgot that she lost...not just once but twice. At the Women in the World Summit in New York on Friday, Clinton was asked what advise she'd give to the 18 Democrats – now 19 – that hope to replace Trump in 2020. "Wow. Okay. I am absolutely delighted to see this incredibly diverse field and especially to have more than one woman running for President of the United States. It's exciting," Clinton responded. "But I think you really have to do two things simultaneously and it's challenging." "You do have to present what you want to do. What is your vision? What is your hope for our country? How do you see the future? What are you going to propose that's going to make a difference in the lives of Americans and maintain the values, the ideals of America in a very complex world? So you bear that responsibility," Clinton said. "At the same time, you have to be able to counter and ignore where possible, respond where necessary, to the diversion and distraction that we see, unfortunately, working by the current incumbent in the White House." So, let's review for a second. Hillary lost to Barack Obama. She lost to Donald Trump. And she's qualified to give the Democrats advice because...? It'd be one thing if she actually won a presidential election but she didn't. Taking campaign advice from someone who has been down this path multiple times and didn't make it might not be the smartest thing to do, but hey, maybe the Democrats will listen to what she has to say. Between the in-fighting and the disorganization that's about to take place, the Democrats are basically sealing Trump's victory with a higher percentage vote.